With a whopping 15 feet of track, it's Hot Wheels® custom action like never seen before! 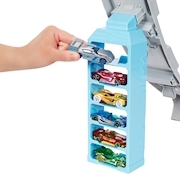 One Hot Wheels® car is included so the revved up fun starts immediately. 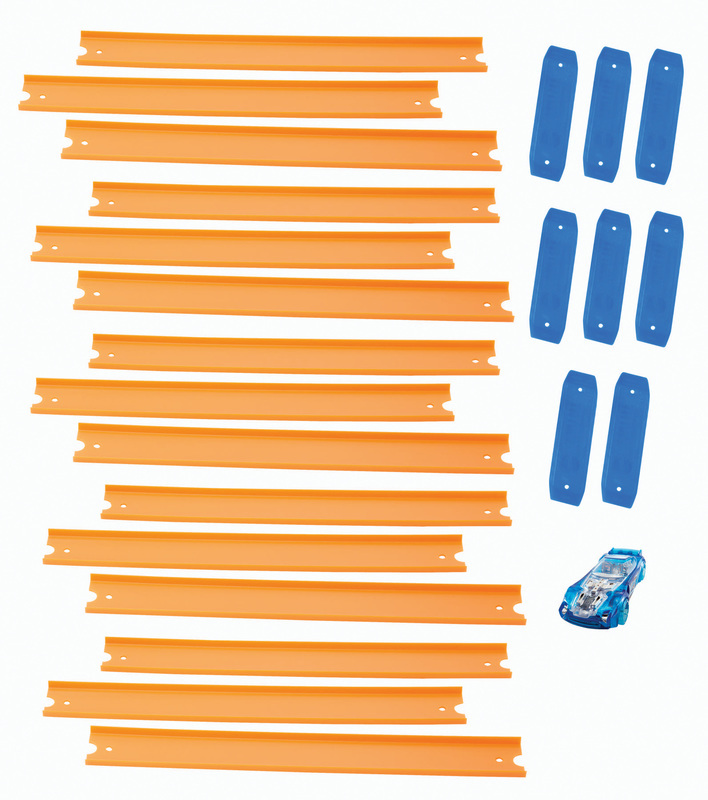 Includes 12 pieces of 9-inch track, six pieces of 12-inch track and 18 track connectors. Send your Hot Wheels® car blasting along the track and speeding through the straightaways. Or test the speed of other cars in your collection to see which one has what it takes to win the race. 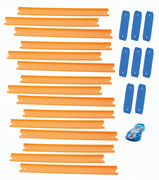 Connect to other Hot Wheels® track sets (sold separately) for tons of exciting, stunting fun!